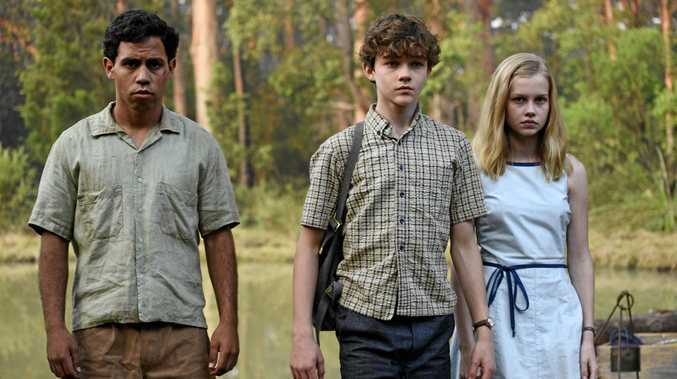 Jasper Jones (Aaron McGrath), Charlie Bucktin (Levi Miller) and Eliza Wishart (Angourie Rice) in the film Jasper Jones. AUTHOR Craig Silvey describes watching his novel Jasper Jones come to life on a film set as "the most amazing experience" of his life. Especially as his lead character, Charlie Bucktin, was inspired by his younger self. "I grew up a very bookish kid, feeling a little marginalised in a rural setting," Silvey said. "I had aspirations to write. I was a very sincere kid, very bookish, scared of everything. So those aspects of Charlie are certainly reflections of my own childhood." Jasper Jones is a coming-of age story set in a small town in Western Australia in 1969. 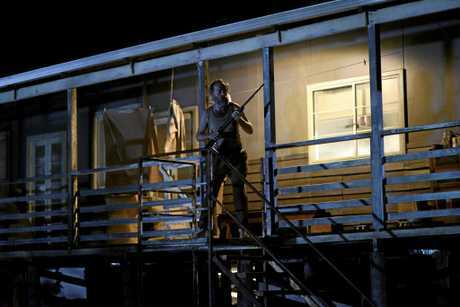 It follows 14-year-old Charlie (Levi Miller) as he embarks on a search for truth. This search begins after a tap on his window in the middle of the night by Jasper Jones (Aaron McGrath), a boy of mixed race who takes him into the forest and shows him the body of a young girl. Director Rachel Perkins said she was determined to get her hands on the piece after reading Silvey's novel. "It's got mystery, it's not a ticking clock but there's an urgency to discover what happens," Perkins said. "There's fabulous dialogue between the two young characters of Charlie Bucktin and Jeffrey Lu (Kevin Long). "And there's this woman who's trapped in this life that she doesn't want. 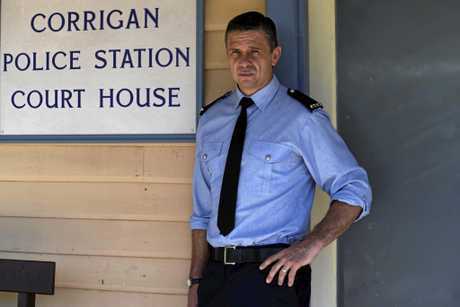 "It's all set in the 1960s, so it's big period of change and then of course it has the indigenous character in it which obviously resonates with me because of my indigenous heritage. "But it was really the light and the shade of it. The darkness that it had and the humour and the true heart that it showed. "All those things combined just made me think, 'Wow, this thing has got it all'." The book, and now film have been dubbed the Australian ToKill a Mockingbird because of the common theme of racism that's explored, and Perkins said both unashamedly referenced Harper Lee's novel. "The author includes all those references in there. He says that it's one of his favourite books, like he reads To Kill a Mockingbird every year, strangely," she said. But despite the tough topics tackled and what Silvey described as Charlie's abrupt realisation of the hard truths of the world, Perkins said there was plenty of comedy thanks to the "conversational jousting, banter" between Charlie and his best mate, Jeffrey. "They have these sort of competitions in who can outwit each other and say some of the most outrageous things too," she said. "They are putting each other down with this really funny humour and it's laugh-out-loud funny, hilarious." Jasper Jones is told with the help of an experienced cast, including Toni Collette and Hugo Weaving, and young stars Miller, McGrath and Angourie Rice. "I was pleasantly surprised by the different interpretations of the characters by these young actors," Silvey said. "I learnt a lot from them. We became a really tight unit on set and it was a joy to see their performance. Collette and Weaving also brought the goods. "There was something really phenomenal about Toni's performance, about Hugo's performance," Silvey said. "They teased some elements out of these characters that were really unexpected and they were really moving performances." Jasper Jones the novel was published in 2009, and is now a popular reading choice on English reading lists in schools across the country, and bringing it to the screen was a joy for Silvey. "Every now and then it would occur to me that we were bringing this book to life in such an amazing way, that I just felt really proud and I felt grateful," Silvey said. Jasper Jones opens nationally on Thursday. Stars: Toni Collette, Kevin Long, Aaron McGrath, Levi Miller, Matt Nable, Angourie Rice, Hugo Weaving. Star profile: Levi Miller. More than 45,000 follow the young star's official Facebook account and he is best known for Pan, Red Dog: True Blue and Supergirl. If you like this movie, you'll also like: Bran Nue Dae. Quote: "Courage is resistance to fear, mastery of fear, not absence of fear." - Levi's character, Charlie, reads this Mark Twain quote during the film.